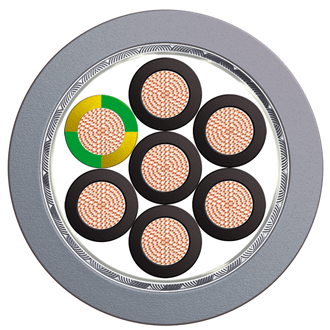 Flexible Control Cables LSZH FireFighter™ CY | Belcom Cables Ltd.
A range of flexible LSZH insulated and sheathed control cables manufactured to VDE specifications, for use in control, instrumentation and electronic applications. Insulated and sheathed with oil resistant LSZH they are particularly beneficial in the machine tool, automotive and processing industries. This LSZH range is ideally suited for applications where in close confinement areas where public health and safety are paramount, where it’s critical to protect people and equipment from toxic and corrosive gases in the event of a fire.